Growing up as one of ten siblings, Eileen Smith knows the strength of a pack. Working as a personal coach with pets and the people who love them, she carries with her this important lesson: functional relationships are what make a great pack. Her emphasis on connection is what drives her work in many areas, from helping to successfully integrate puppies into new homes; to leading large groups through intensive trainings in pet first aid; or to building the strong and cohesive staff that has been working to serve the animal loving community of Victoria at A Pet’s Life for the past twenty-two years. With a history of successful entrepreneurship behind her, Eileen has a firm handle on what it takes to grow and build a business. The lessons she has learned along this path include the importance of being a life-long learner, the difference that a great leader can make, and that clear communication is always a key to success. Her passion for empowering other entrepreneurs along their own paths led to her work co-facilitating the personal and business coaching program, Success Partners, with Dr. Jim Ricks, of Ricks and Associates. Eileen’s dedication to her community can be seen in her work volunteering at the Boys and Girls Club of Victoria; the time she has spent volunteering with the Canadian Red Cross; and the heartfelt support she has extended to friends, clients, and loved ones, while she has walked at their sides through moments of exciting new beginnings and times of hardship, sadness, and grief. As the matriarch of a large, diverse, and growing family, Eileen also knows the importance of love, acceptance, compassion, and listening. 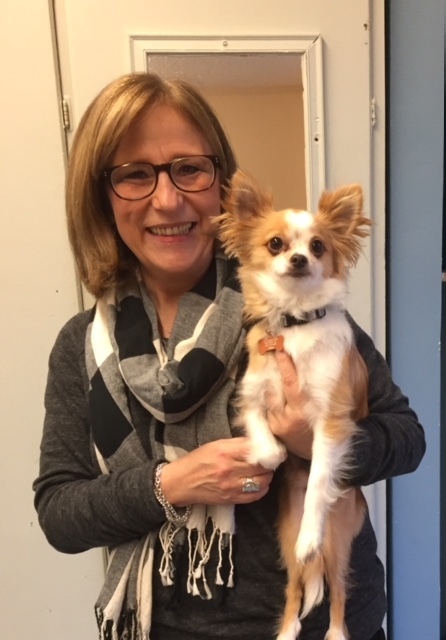 With a true passion for uplifting the people around her, Eileen’s special talent could also be described as seeing individuals through the eyes of their pets: truly unstoppable heroes, always deserving of love and support on their own unique paths to success.